Looking for individual, couples, child, or family counseling? Curious about who we are as you look for a good fit? Find a counselor that can help. We offer massage therapy utilizing a range of techniques. Massage is a healing support for injury, emotional stress, and daily aches and pains. We offer a number of services from massage therapy to movement classes to workshops. Come see what Third Street has to offer. Want more information? Not sure which counselor to choose? Send us a message and we will be in touch within two business days. We believe that we are created as wonderfully complex human beings – mind, body, soul, and spirit. 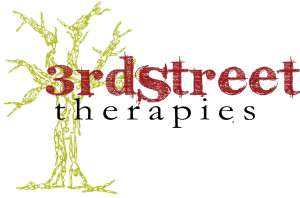 3rd Street exists to provide counseling, massage, and creative expression through movement, dance, and art as means to help us find health and wholeness, hope and kindness.